It is with heavy hearts we announce the sudden, peaceful passing of Bob Lynch. He was a loving husband, father, grandpa, brother, uncle and good friend to many. He is survived by his wife Linda, son Bill (Michelle), daughter Shelley (Ryan), four beautiful granddaughters, Darcie, Beverly, Raya and Nyah. Also, sisters Dianne (Geordie), Darlene (Wayne) and many nieces and nephews. He was predeceased by his parents Stewart and Freda Lynch and in laws Florence and Vernon Stearns. We know he is in a better place and can finally see his family and farm. We would like to thank his Ophthalmologist Dr. Dubord and his wonderful staff that kept Bob with sight for so many years. 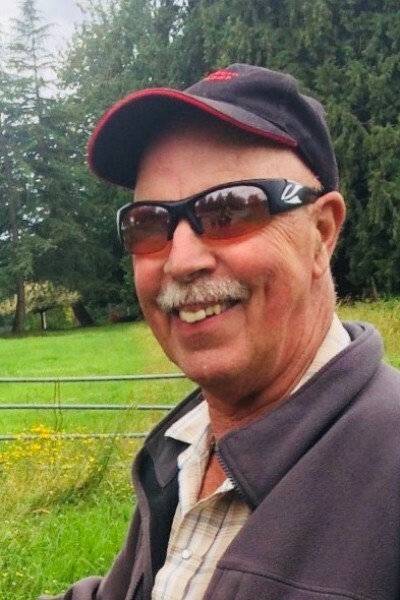 Bob was a long time resident of Langley and we would like to invite all his friends and family to celebrate his life with us on our family farm on September 22nd at 3:00pm. In lieu of flowers, donations may be made to Eyesight International.